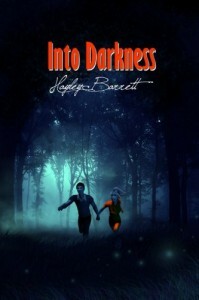 INTO DARKNESS, just by its title, had me itching to read it. Plus, I liked that the book is a dystopian novel that takes place in New Zealand. INTO DARKNESS also sounded like it would give the genre a new twist. I liked the main characters Alexandra (Alex) and Will. Though Alex is naive and snobby, I felt that was a result of her upbringing and hoped her experiences trekking through the wilderness and being at Elder Grey would open her eyes to the way the world really is. I could see this was a perfect opportunity for her to really do some growing up, and I wasn't wrong. I also kept in mind she's only fifteen. That's super young to be sent to what basically amounts to be a prison. At first I thought Will was going to be an angry character for the entirety of the book, but that wasn't the case. Whew! He's a realistic guy in my opinion, and there are a lot of things I liked about him. He's brave and honorable, and he's genuinely charming. All charm with no smarm. Ha! INTO DARKNESS would have earned another star from me if there had been more background given. There are snippets of Alex's past, but it seemed like there was more of a focus on Will's past. Don't get me wrong, I was interested in him, too, but I wanted to find out more about Alex. What I did find out explained some things, but I wanted more, which is a good thing. I also wanted to know more about New Phoenix, and the Drifters were a bit confusing. Parts of INTO DARKNESS were slow, but then a new character was introduced, and my interest picked up again. If there's going to be a sequel to INTO DARKNESS, then I'm definitely going to read it. I think this story has a lot of potential, and I'd love to see where the author takes it. You can find more of my reviews at my blog, Donnie Darko Girl.